I recently made a dish that brings me back to my childhood, albóndigas. I remember this being one my favorite that my mom would make for my brothers and me. 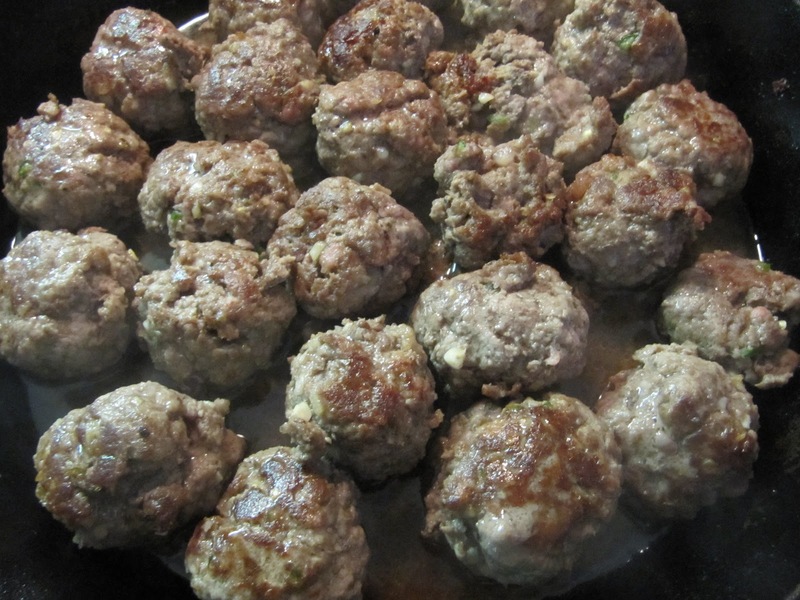 the basic idea is beef meatballs broth with rice. It is a simple idea but oh so good. I decided to change up a few things, however. To begin I ground top sirloin roast and a bit of bacon. I like the way the bacon imparts its smoky, fatty flavor to the beef. To this mixture I added a combination of onions, garlic and serrano chile which I cooked down until soft. In addition I mixed in salt, pepper and a touch of cumin. I rolled the ground meat into balls about the size of a golf ball. Before boiling the meat balls I seared them in a cast iron skillet. This helps them stay formed while boiling and imparts additional flavor. I added the meatballs and pan drippings to a pot with hot water and proceeded to boil the meatballs for a few minutes. 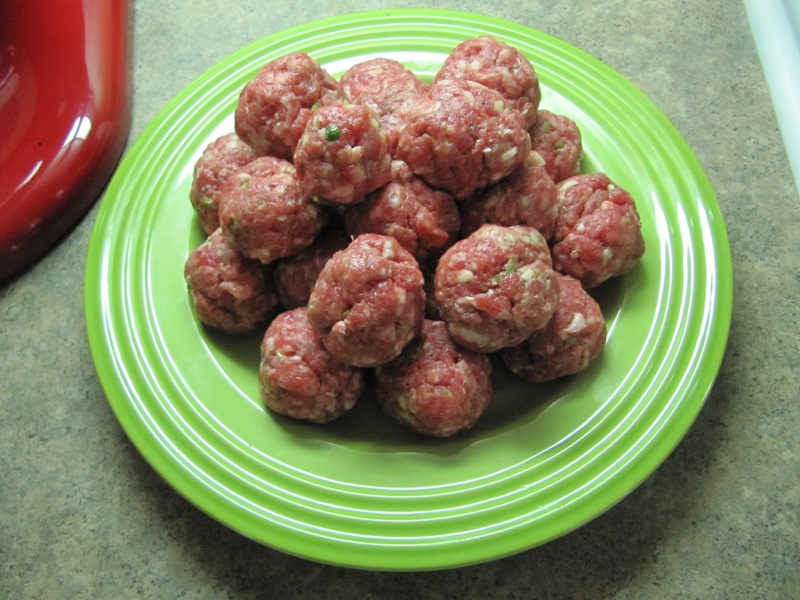 The meatballs are all that is needed to create a great broth. I added diced potato and continued to boil until they were cooked. 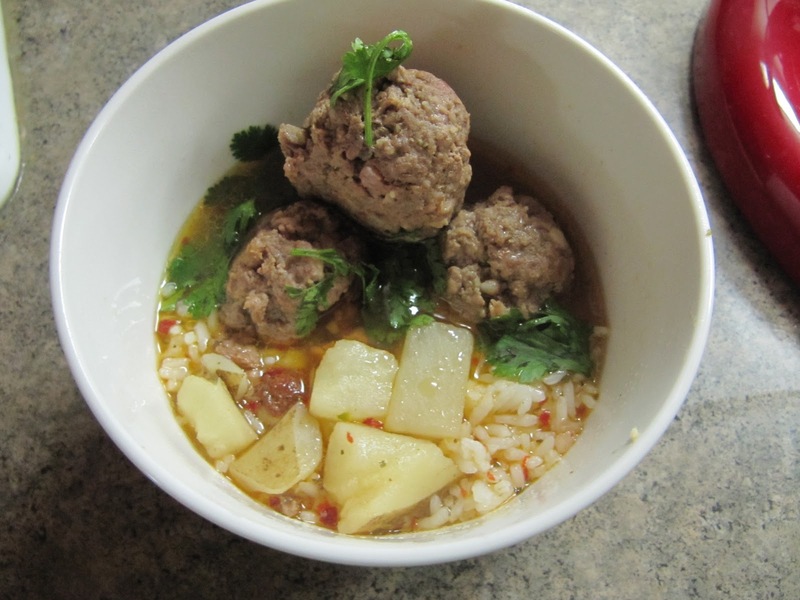 I served the albóndigas with cooked white rice and topped it off with some chopped cilantro and a squirt of lime juice. I was happy with how the albóndigas turned out, it is something that brings me right back home every time without fail. I still felt the need to take a warm tortilla and roll it up into a little tube to eat on the side just like I would do when I was a kid in my mom's kitchen.